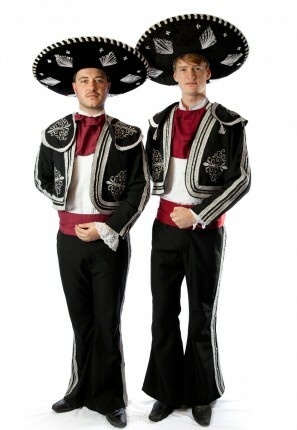 The three amigos costumes for all the Chevy Chase and Steve Martin fans. Perfect for a Mexican party. 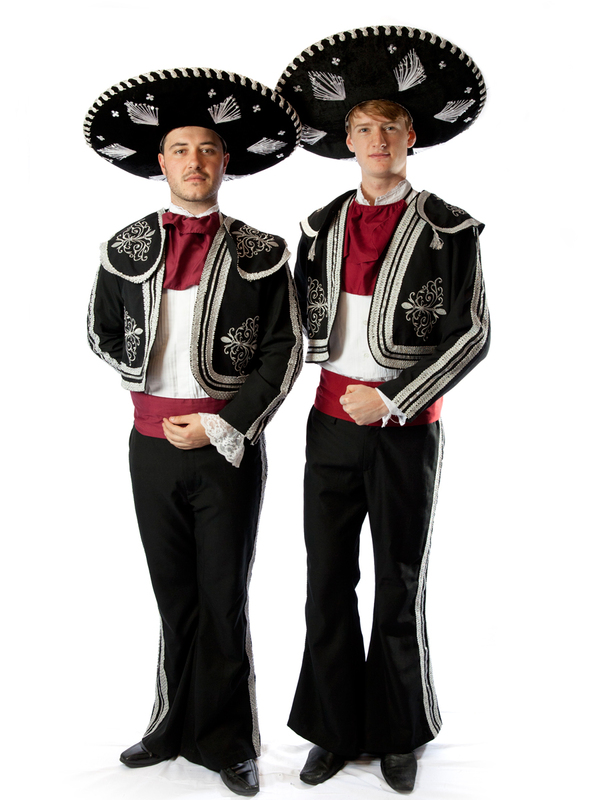 Our three amigos costume consists of bolero Jackets, red cummerbund and necktie, shirt and sombrero hat. Can be hired individually or as a group.